Chocolate Kush is an indica dominant hybrid, created by crossing the potent Chocolope with Kosher Kush (one of the strongest indicas in the world). 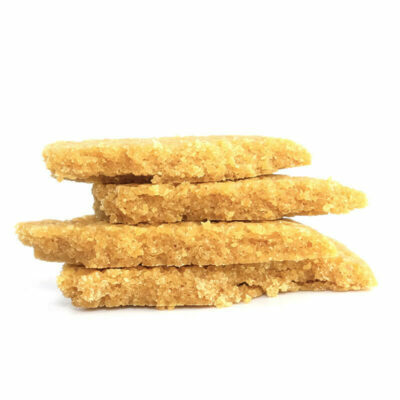 This strain produces primarily physical effects, creating a strong sense of peace and tranquility within the body, after only minutes of smoking. 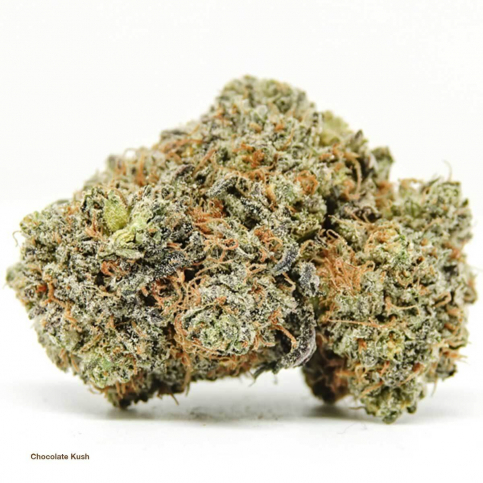 Chocolate Kush not only relaxes the body, but the mind as well! 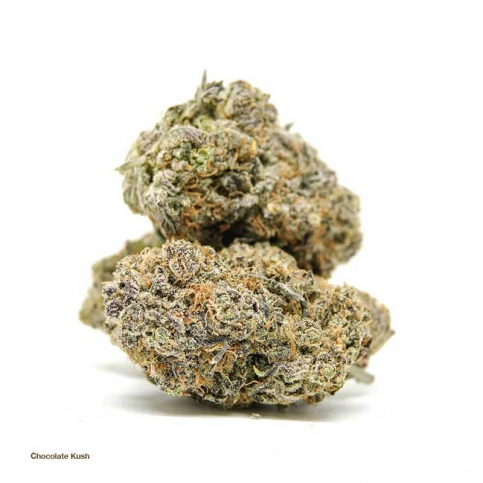 It’s Chocolope parent genetics are responsible for the euphoric and uplifting mental relief that is sure to excite creativity and positive thoughts. 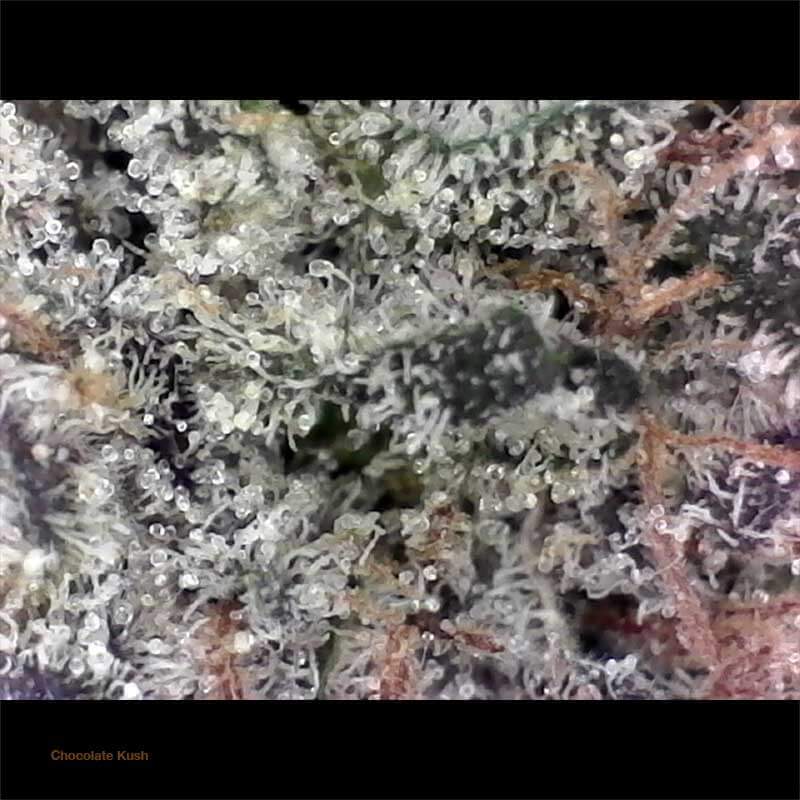 This strain produces dense buds that give off strong cocoa based aromas, with hints of earthy, vanilla flavors. 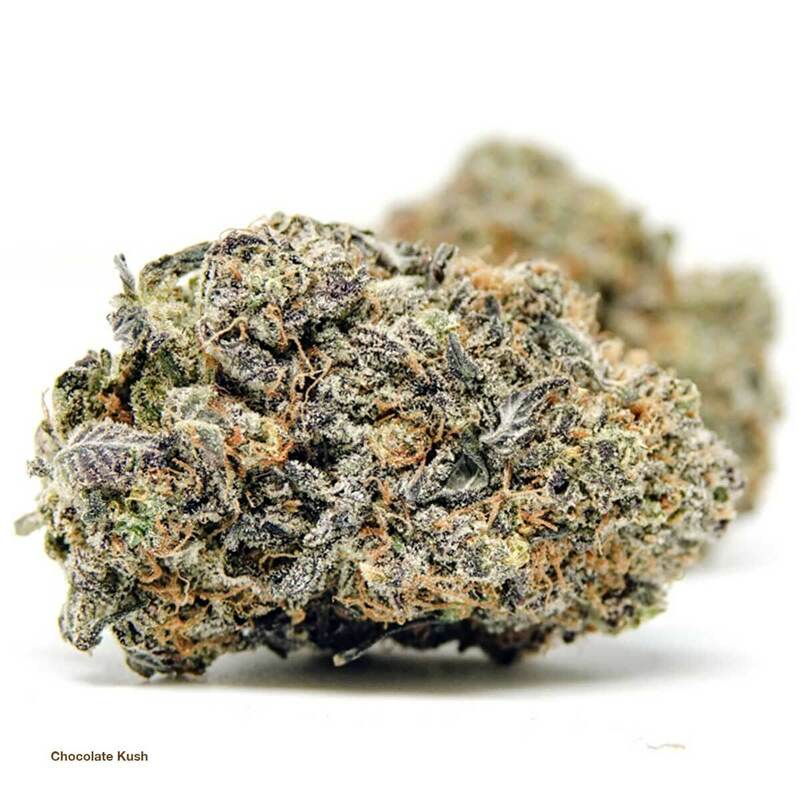 As Chocolate Kush is primarily a body focused strain – it is often used to treat chronic pain, nausea, inflammation, anxiety, insomnia, and lack of appetite. Great for relaxation! I usually smoke this stuff before bedtime. Lull me into a deep sleep. I love the smell and the texture! My number one stress buster and pain reliever. It induced deep relaxation and melts my body tension away. Recommended for highly stress people like me. Great for chilling out with friends or alone! This weed hit me slow and nice! It leaves a slight chocolate taste in the mouth! Thank you, customer care, for the excellent service! Very relaxed high it put to sleep the minute I put my head on the pillow. Perfect thanks for handling my issue efficiently! Potent. It clears away the symptoms of my anxiety. Stabilizes my mood, makes me sociable, inhibit my fears and makes me sleep peacefully at night. I am thankful that I got my life back since I started smoking this regularly. Really good strain , bomb site like always ! 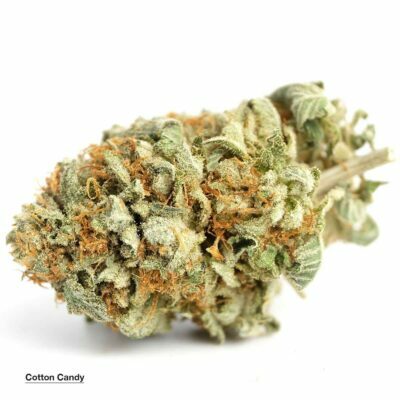 Pretty good stuff, not as strong as I expected but the nugs look amazing and the flavor of the smoke is almost sweet. Definitely recommend this strain! 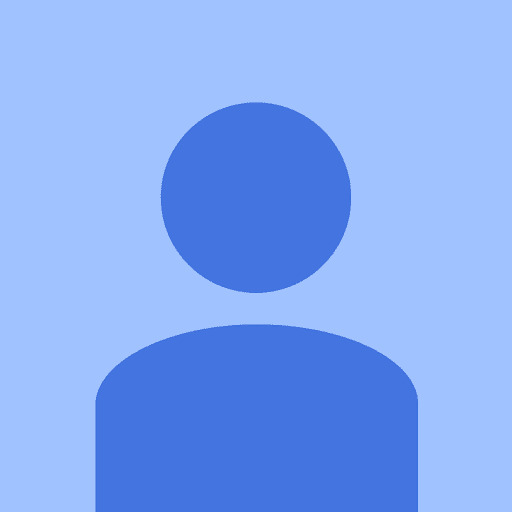 I placed an order as a first time customer with lots of skepticism. I must say the quality of this bud is great! It has a chocolatey after taste and is great for a late night session. 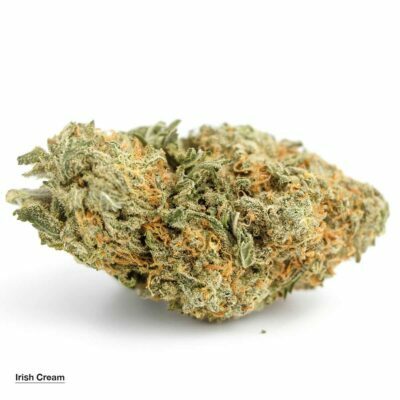 I also ordered the blueberry crack and black diamond strains as well which I have yet to try. Only reason why I am giving 4 stars is the slow delivery time to Toronto, which took almost 5 days! I use a volcano so i dont taste much, perhaps it tastes a bit like one of those chocolate wafer cookies. Top quality nugs though. Although not as potent as I was expecting for AAAAA, this is a nice smoke with mild chocolate flavour and relaxing buzz. Nice big solid nuggets too! Felt a good body stone and really relaxed. Slept great!